It’s April; I guess that means time to air dirty laundry? No thanks, I’d rather eat a tide pod. I’m still feeling some type of way though looking through our household’s Green Bay Packer jerseys…. Great players some of whom we’ve been blessed to meet if only for a brief, memorable interaction resulting in a signed jersey. 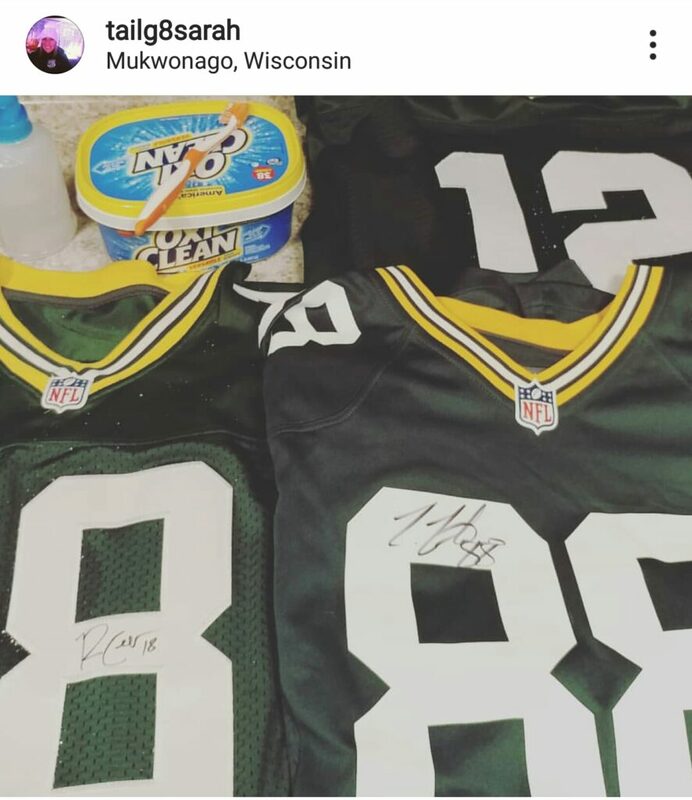 At tailgates I know we’ll still talk about the times Ty stopped in the yellow stingray to sign a jersey for my Dad or when my husband ran around the Oneida entrance to track Randall Cobb down at the gate on his way out of Lambeau. Picture my husband standing with his #18 jersey, marker in hand as Randall approached the gate. Smiling as if to say ‘you got me,’ Randall drove through, stopped, waived my husband over, and rolled down the window. “I said thanks for stopping,” my husband answered. Any jersey my husband’s been fortunate enough to have autographed, he’s asked for it to be autographed on the front so he can see the autograph when he wears it. 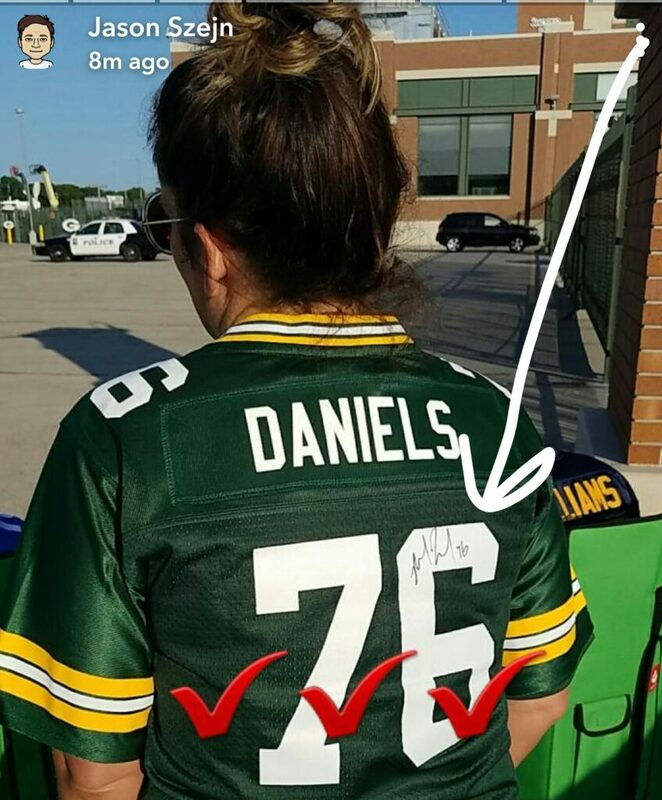 I wear mine too but prefer the autograph to be on the back. I like the look of the name, number, and autograph. Never dirty, I’ve hand washed them all with a toothbrush and OxiClean. Now, the majority of the Green Bay Packers jerseys that I have are of players no longer with the team, but I still love them. 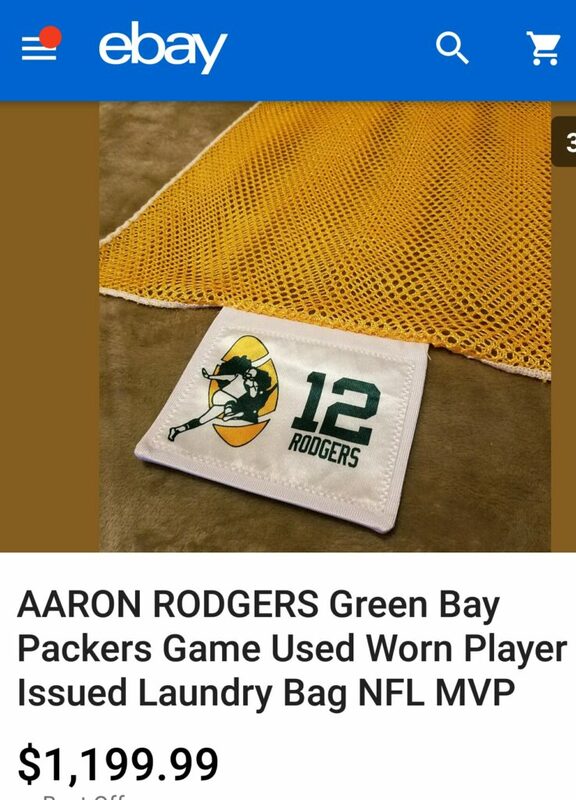 Like many of you, I am saving for a new jersey or that one of kind Green Bay Packers game used laundry bag. 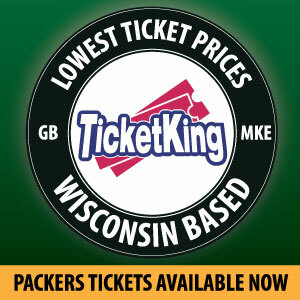 Can’t wait to watch another MVP year or see who’ll rise to become the next Packer great. 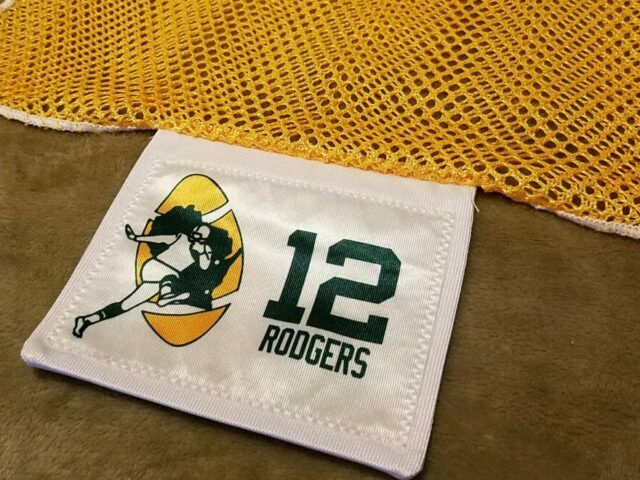 A 13x World Champion vibe always, give some thought to turning some of your memorable Green Bay Packers jerseys or t-shirts into a quilt, pillow, or bag to enjoy them daily, and I’ll do the same. This entry was posted in Sarah Szejn. Bookmark the permalink.